Rustic weddings are beautiful, but you can also add a modern twist to make your day really special. 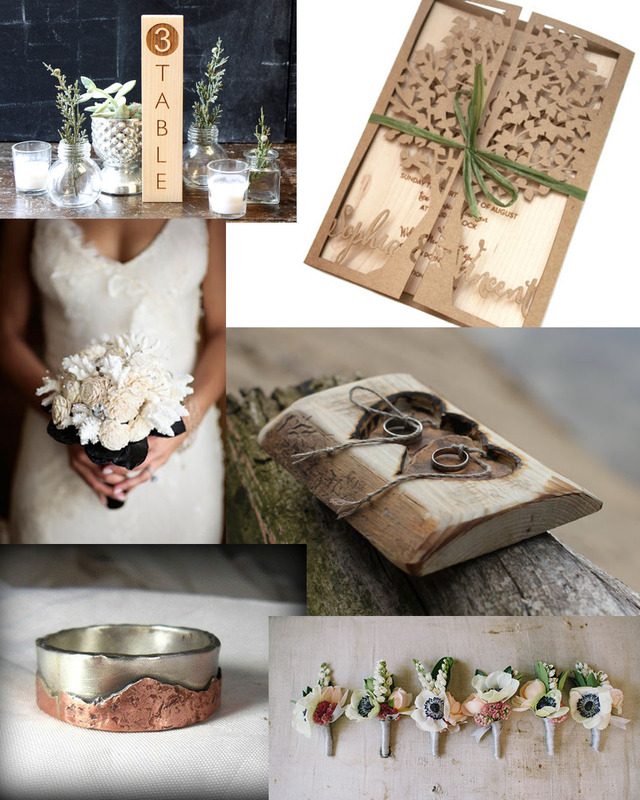 We hope you like our modern rustic wedding inspiration board. Keep in mind, the modern rustic style can work for a woods wedding, indoor wedding, barn wedding, and more! Emerald green has been the color of the year for 2013, and I think it looks so fantastic mixed with gold. 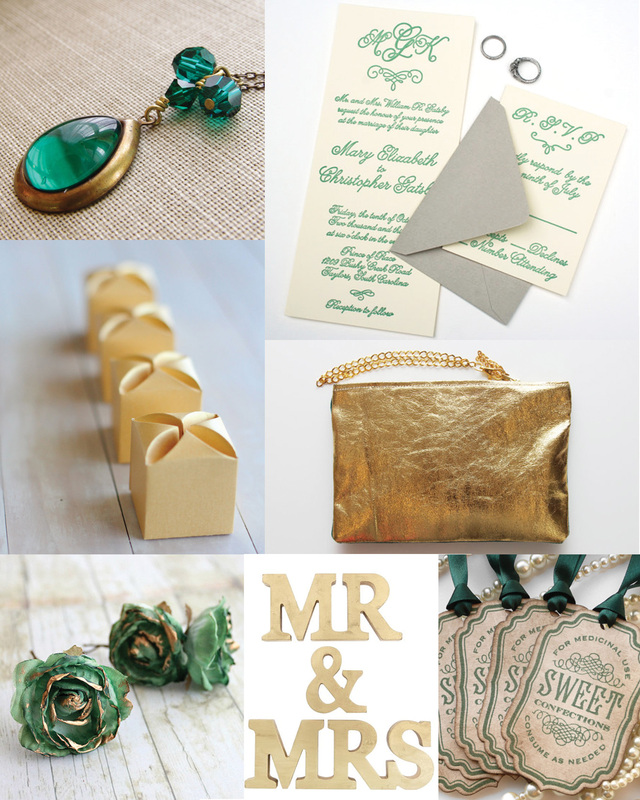 Here is a little bit of emerald green and gold wedding inspiration for you. All items are from Etsy sellers, and the emerald green letterpress wedding invitation is of course by Sofia Invitations and Prints. 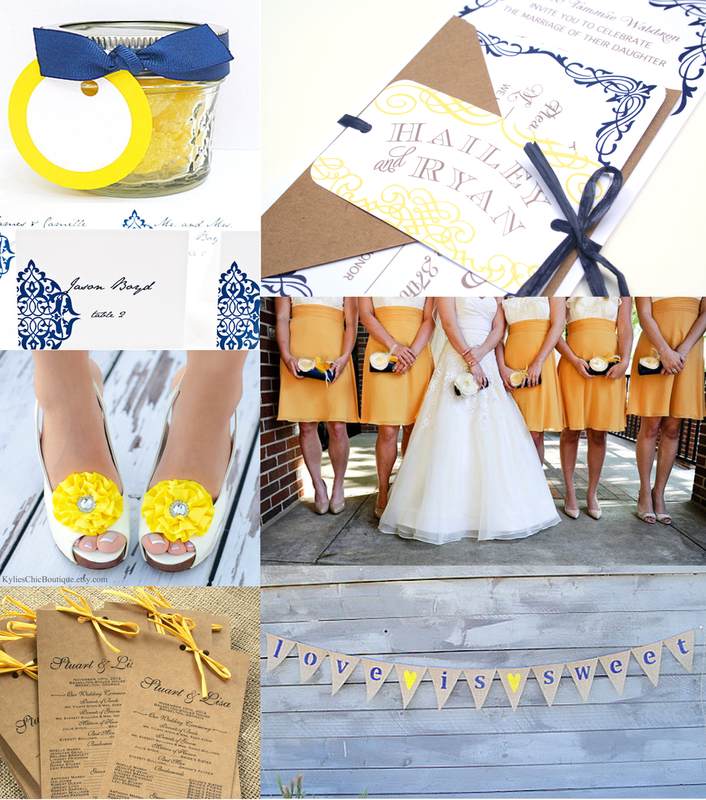 Here is some navy and yellow wedding inspiration for you on this wonderful Monday. 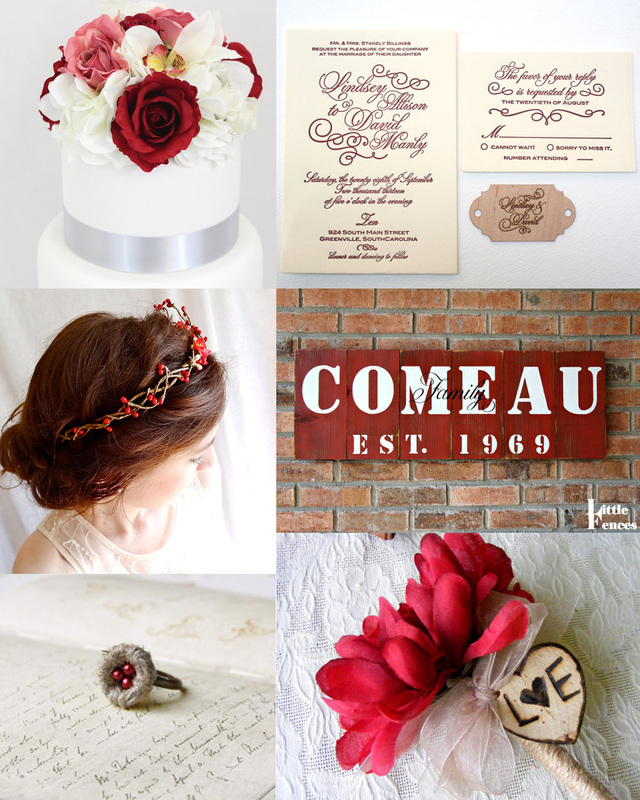 I hope this board gets you inspired for your wedding or event. 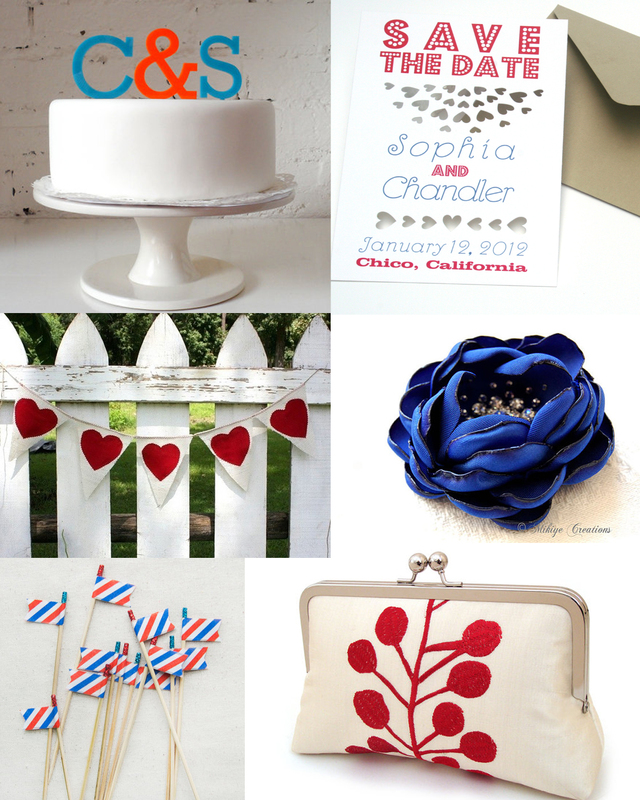 In honor of this past 4th of July, here is a fun red white and blue wedding inspiration board for you! 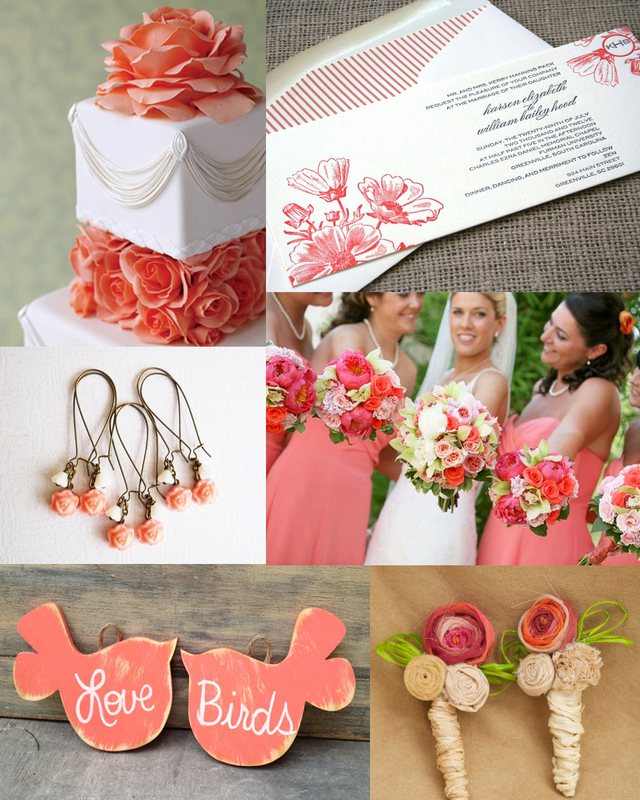 Coral with accents of cream, grey and brown (earth colors) are perfect for your rustic and vintage inspired wedding. Here is a little inspiration for you. Here is a little bit of wedding inspiration for you this happy Thursday. 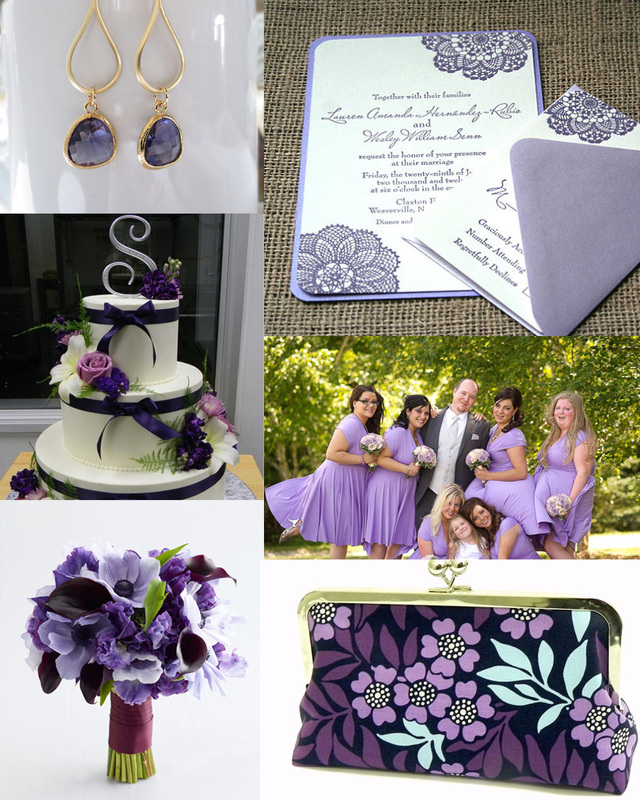 Lilac purple and navy blue are elegant colors with a bit of pop, perfect for your upcoming wedding perhaps?